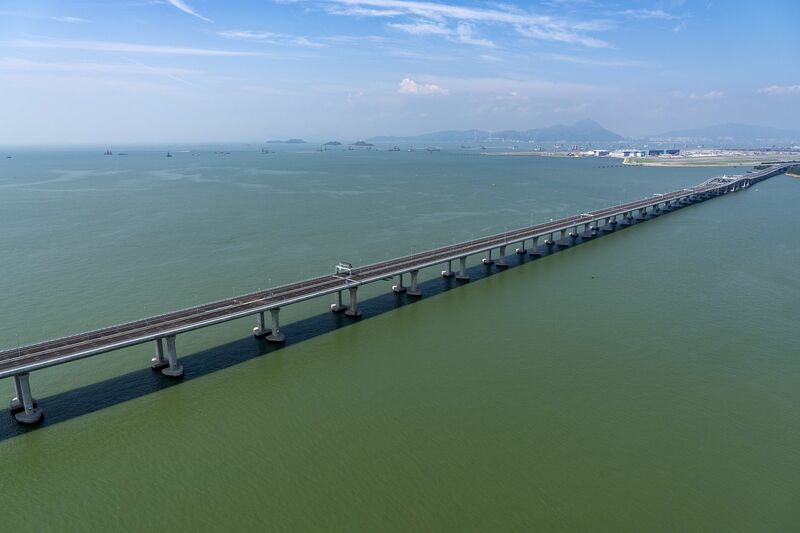 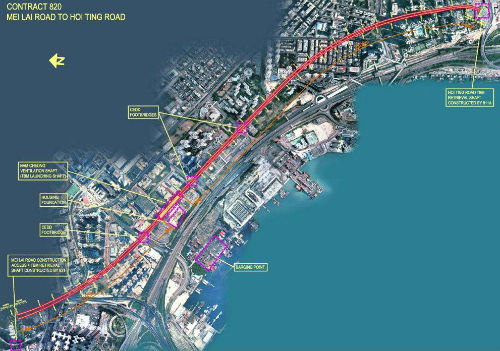 In association with the development of the new airport at Chek Lap Kok and to enhance the road network of the north-western New Territories, the government decided to construct a new tunnel and access roads. 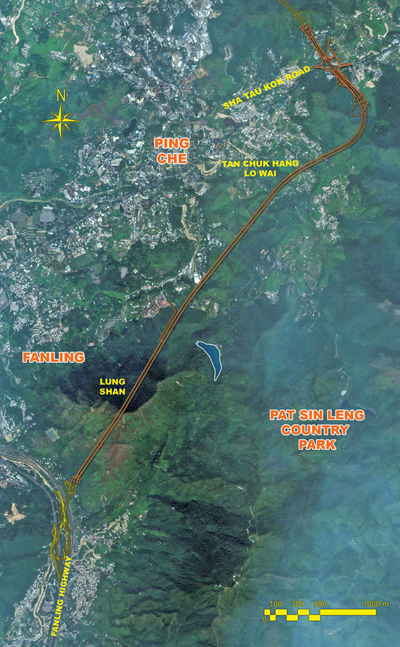 Dragages was responsible for the southern part of the tunnel and the Yuen Long Approach Road. 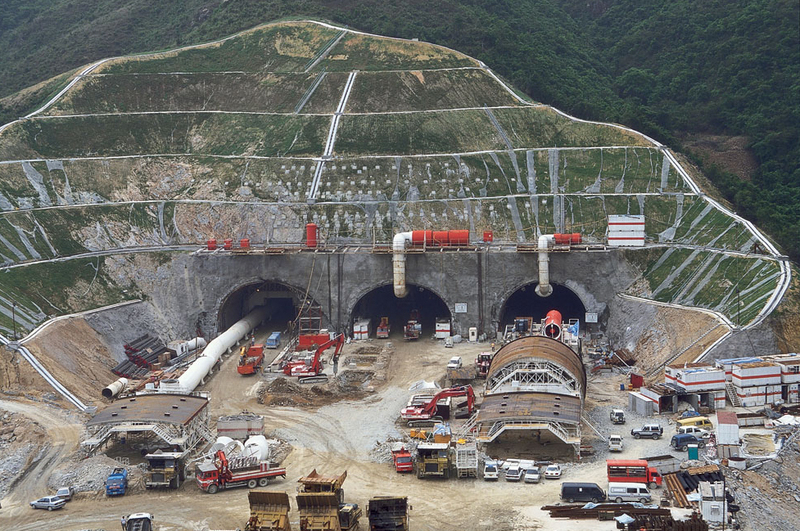 The construction of the dual three-lane tunnel involved massive excavation works requiring some 2,000 trucks a day to transport surplus materials. 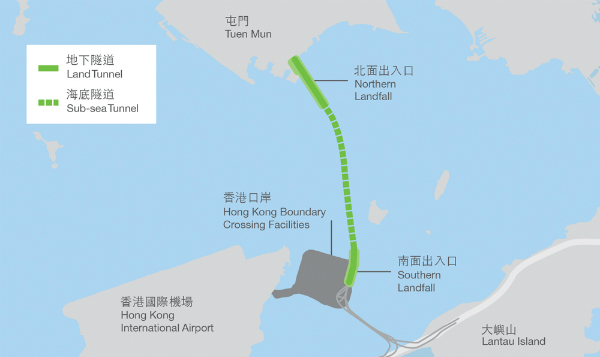 The government, therefore, proposed to transport the spoil by sea using a conveyor belt. 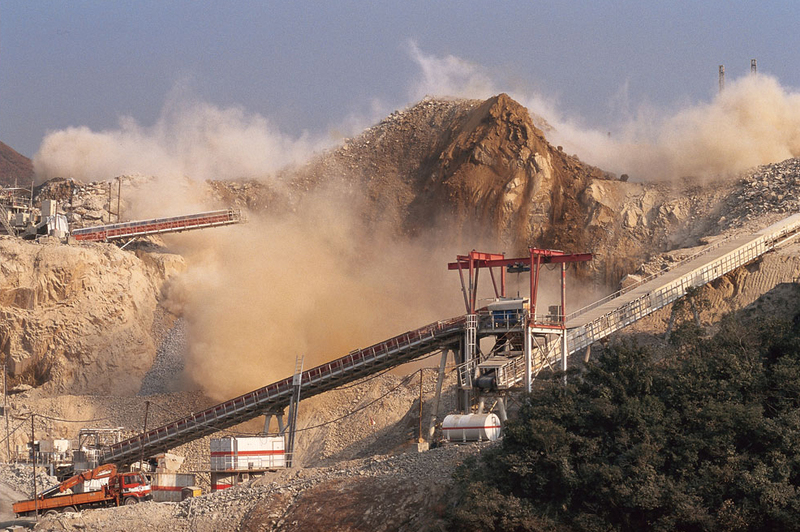 Dragages improved on the idea by using mobile crushers to accelerate the process. 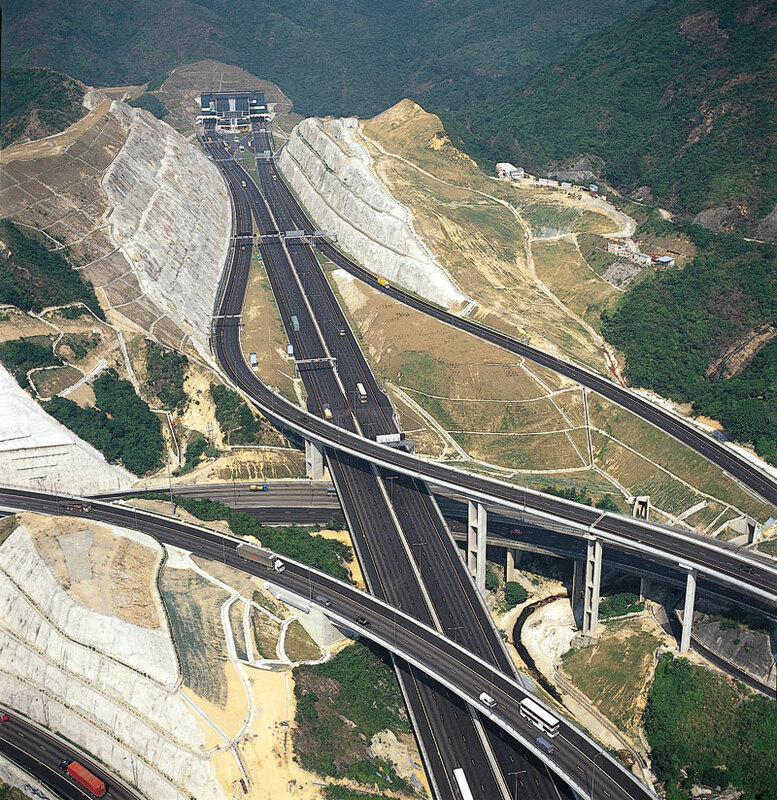 During the excavation works, 15 million tonnes of materials were transported using the two-kilometre conveyor belt. 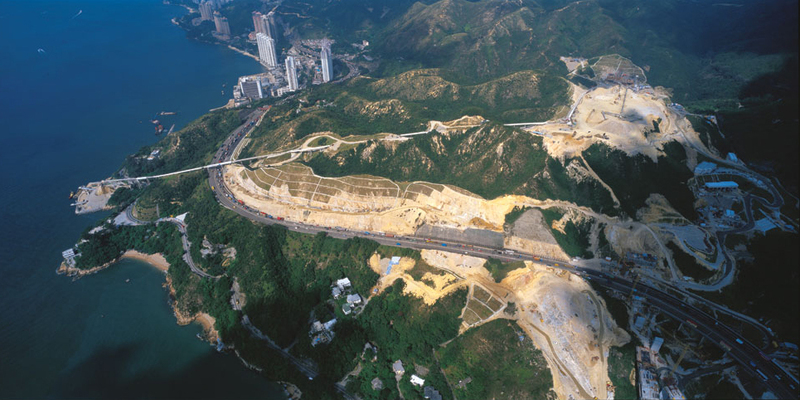 With the adoption of the enhanced method, excavation of the southern end was completed more than two months ahead of schedule.